Rudding Park’s Consultant Chef, Stephanie Moon, will feature on BBC Two’s popular series Great British Menu. Stephanie Moon is competing in the North East regional heat which transmits from Monday 18 February to Friday 22 February at 7.30pm on BBC Two. This year Great British Menu Does Comic Relief. For years Stephanie Moon has been making people smile with her dynamic food demonstrations and Yorkshire humour as she champions Yorkshire food. 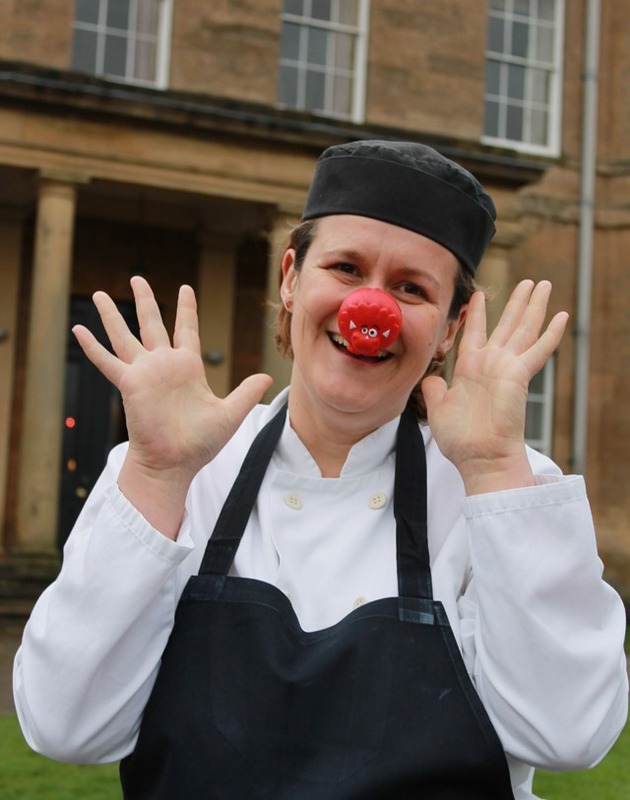 It is now her chance to put all the ‘training’ into practise as this year’s challenge is to create a dazzling performance on a plate, food that is both gastronomic and witty to celebrate 25 years of Red Nose Day. The special banquet this year will be held at The Royal Albert Hall. Guests will include the unsung heroes of charity work, as well as those who have benefitted from Comic Relief, and some of the celebrities from the world of entertainment who have inspired us to do something funny for money. But first Stephanie must get past mentor Jason Atherton and only two chefs from the North East region will get to face the Great British Menu judges, Prue Leith, Matthew Fort and Oliver Peyton in the regional final. Whilst I take food very seriously it is important to never take yourself too seriously. This year’s brief was great fun and a chance to have a real laugh. Comic Relief has raised more than 800 million pounds through the power of entertainment and this year Britain’s premiere chefs are challenged to marry serious cooking with humour to celebrate the charity’s achievements. As well as cooking her heart out in the kitchen Stephanie has created a special Comic Relief Afternoon Tea at Rudding Park to take part in the first ever Menu Relief. Guests can dine at top restaurants around the country and at the same time raise money for Comic Relief.